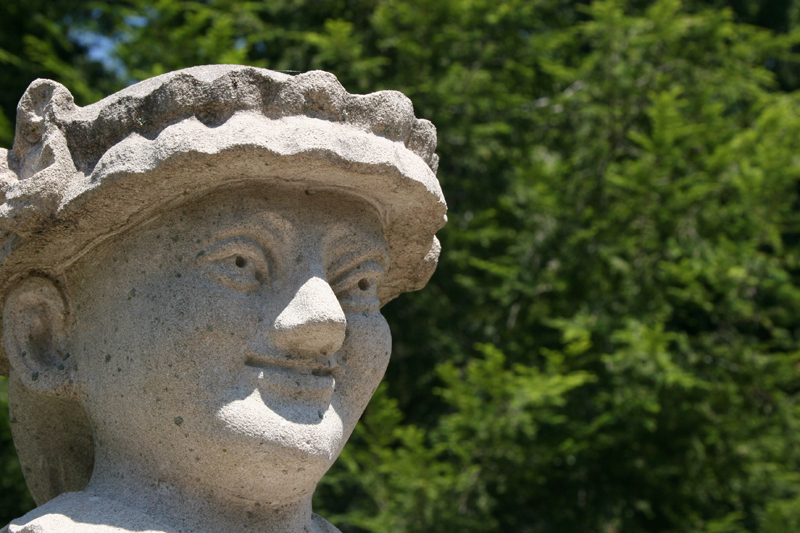 These stone figures were created in 1977 after English originals. 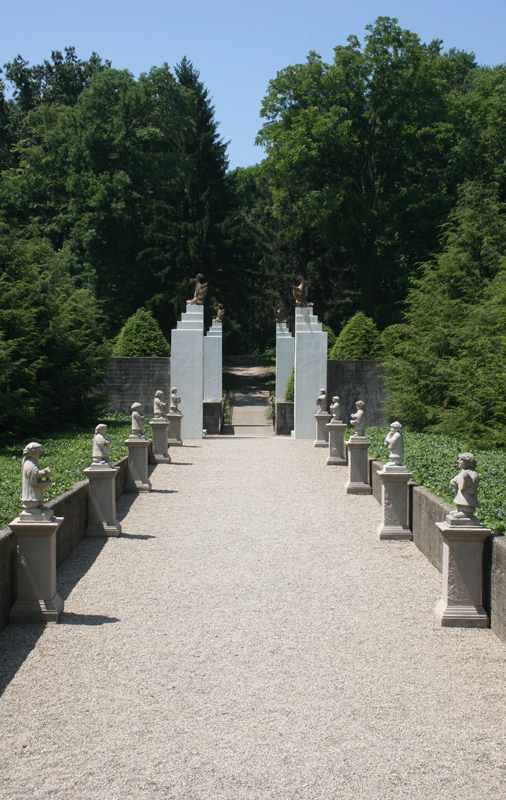 The twelve limestone figures each stand at approximately 27" high along the path to the Sunken Garden at Allerton Park. 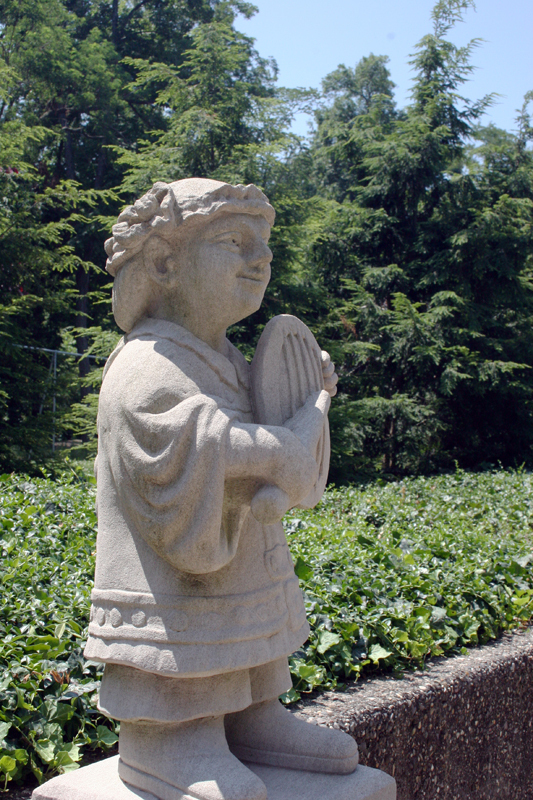 Visitors usually call these stone figures "Chinese" musicians, but a closer look shows that their features are Western. The present sculptures are not those Allerton bought in England early in the century. Initially he obtained ten statues cut in soft stone to use as garden ornaments; later he had Lew Wagy, a Monticello gravestone carver, make two more. For a long time all twelve stood along a wooded path in the Lost Garden on the other side of the Sangamon River, but erosion, squirrels sharpening their teeth, and acts of vandalism eventually necessitated replacement. The new group functions nicely as a "musical interlude" along the path between the Maze Garden and the Sunken Garden, but they do not faithfully reproduce details of the six different instruments shown in the English originals. According to John Allerton, those prototypes were purchased before his time and "nobody knows the history of them." 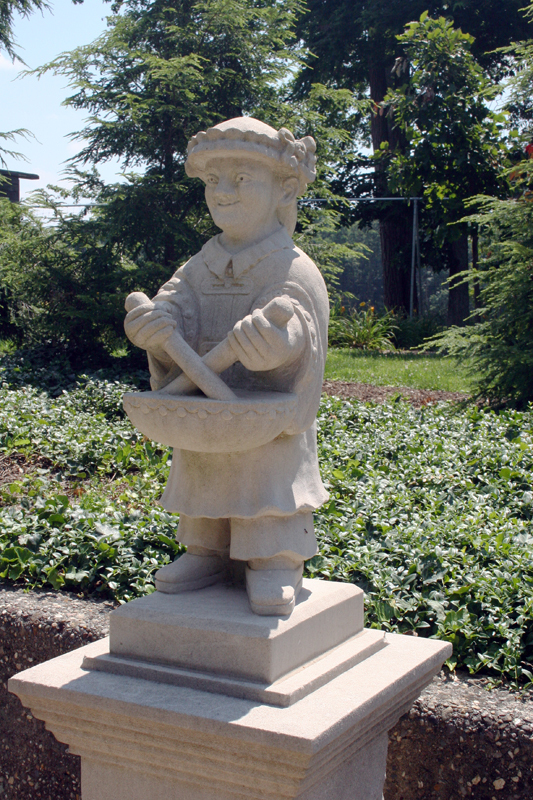 These sculptures can be found along the path to the Sunken Garden. 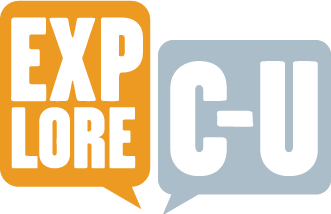 Muriel Scheinman, “"Chinese" Musicians,” ExploreCU, accessed April 22, 2019, https://explorecu.org/items/show/53.